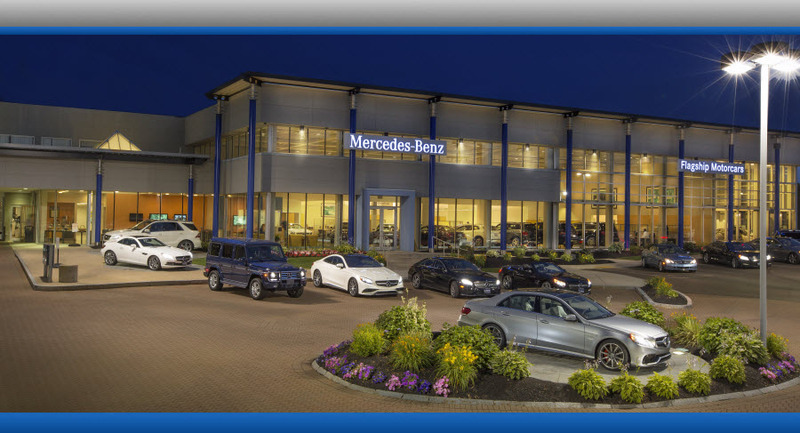 For a car-shopping, -servicing or -financing experience that's commensurate with the Mercedes-Benz brand, bring your business to Flagship Motorcars of Lynnfield, MA. Our Mercedes-Benz dealership near Peabody, MA, is home to an expansive inventory of new and pre-owned Mercedes-Benz vehicles, a talented and dedicated service staff and a finance team that ensures you're as pleased with your payment plan as you are with your new ride. As a Herb Chambers Companies dealership we offer our customers a host of perks and customer-centric processes, and we think you'll notice the difference from the moment you walk through our doors. Flagship Motorcars of Lynnfield customers have access to the Herb Chambers Companies Advantage Rewards Program, which allows you to earn points for every dollar you spend in our service and parts departments. Our service team offers extended weekday and Saturday hours to ensure you find a convenient time to get the maintenance you need, while our extensive fleet of 90 new Mercedes-Benz loaner vehicles enables you to go about your daily routine while your car is in the shop. You can also enjoy a host of amenities at our state-of-the-art facility in Lynnfield, MA, and know that our staff will do everything in their power to keep you comfortable for your entire visit. Want more reasons why you should buy from Flagship Motorcars of Lynnfield?